awesome podcast ! great narrators and super interesting format and subject :) keep up the good work ! From family holidays to hikes, concerts, and meals — almost every experience is now snapped and posted to social media. Do photo sharers risk revealing even more than they intended? Every 53 seconds, a laptop is stolen from a car or office, an airport or a café. Even if you secure your laptop with a strong password, will that strong password keep prying eyes off your personal data? Or will it leave your intimate information up for grabs? In a world where we obsess over staying connected, how can we be sure we’re not leaving ourselves vulnerable? Hackable? gives us a front row seat to explore where we’re susceptible in our daily routines, without even realizing it. From Wi-Fi to webcams and cars to computers, these episodes expose the places hackers may hit, and explain how they get our information. With the FBI putting out a most wanted list solely dedicated to cybercriminals, it’s no argument what a huge issue cybercrime has become. Malware and ransomware threats are on the rise*, and we need to take them seriously to learn what we can do to keep ourselves safe. Our host, Geoff Siskind, digs into the minds of cyber criminals with cybersecurity expert, Bruce Snell, giving us an in-depth view of the vulnerabilities we face so we can stay observant, and out of the hacker’s path. The industry of smart baby devices, also known as the "Internet of Toddlers” includes everything from bluetooth pacifiers, internet-enabled monitors, and Wi-Fi onesies. IoT might be best thing to happen to the nursery...but are the potential vulnerabilities worth it? Geoff and Bruce find out just how easily hackers turn these devices into child’s play. Automatic car washes save time and water, but are these internet-enabled devices hackable? In this episode, Geoff teams ups with a Security Researcher to find out how quickly a trip to the car wash can become a potentially dangerous situation. And all it takes is one dirty car, seven dollars and a ride through the drive-thru. A smart camera + dog treat dispenser allows you to monitor behavior, video chat with your pooch and toss them a treat while you’re away. But what if you’re not the only one watching? In this episode of Hackable? Geoff and Bruce examine the real possibility that your doggy treat dispenser can be hacked. And you’ll be surprised by what they find. "From social media to banking, we use passwords to protect all of our sensitive information. But how easy would it be for a hacker to gain access to our accounts? In this episode of Hackable?, Geoff puts his personal passwords to the test against an expert hacker. " RFID is in everything from your keycard to library books, and probably even your dog. But with the popularity of this technology, is the information inside as secure as it should be? In this episode, Geoff and the crew look into RFID spoofing and what a hacker might be able to access without you ever knowing. Unlocking your doors with the touch of a button is the greatest thing to happen to cars since, well, the invention of cars. Although is the signal you send through the air secure? Or are you giving a hacker a chance to capture your code with every click? 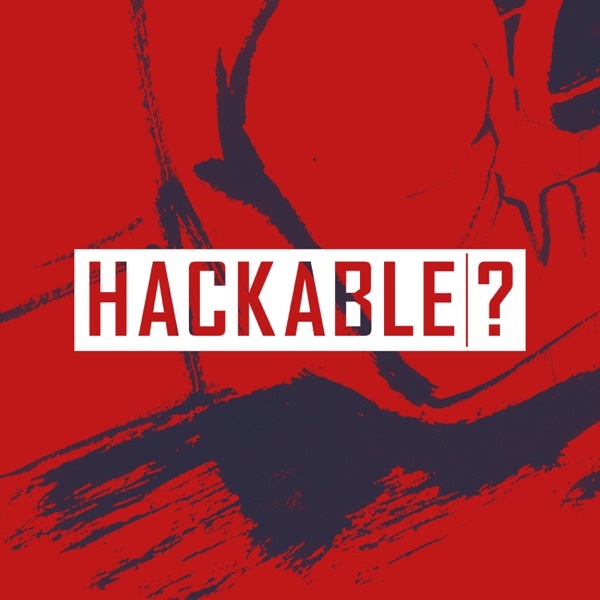 In the Season Two premiere of Hackable? the crew is on the case. Tech toys are always the hottest gifts during the holidays. But what if something as innocent looking as an Internet-connected stuffed animal could be used as a listening device? And how easy would it be for someone to do? In this episode of Hackable? we’re looking at two different toys to see if their security is up to snuff. Smart speakers, just shout out a command and these digital assistants take action. But would it be possible for a hacker to communicate with your device without you knowing? And if so, what could they do? This episode looks at all the different ways a smart speaker can be attacked, from the low tech to the Hi-Fi. We all love the fact that we’re able use our cellphones to access the internet from practically anywhere. But a lot of times we don’t take the security on these devices seriously, despite them being filled with personal information. In this episode, Geoff and team find out just how easy it is for a hacker to attack our mobile devices. Pre-released tracks, sneak-peek videos, never-before-seen pictures – hackers are using our love for celebrities as a way of stealing personal data. But not in the way you might think. In this episode, Geoff and team examine the dangers you could find while searching for your favorite celeb’s unreleased music. Just the thought of someone accessing your webcam without your knowledge is unsettling. But is putting a sticker over your webcam paranoia, or precaution? In this episode of Hackable?, our trusted hacker shows us just how simple it really is to gain access to your computer's camera. We're uncovering the truth about covering your webcam. Carjacking just went digital. You might be holding the steering wheel, but are you in control? Hackers today could easily take over an automobile – and we can prove it. In this episode, we hand over our rental car to a hacker to find see what's possible when it comes to car hacking. We also speak with the man behind the voice of KITT from Knight Rider, William Daniels, to get his input on the world of self-driving cars! Listen now to see how hackers can take over a car, and how to stay in control of yours. Ransomware is a billion-dollar business. But what happens when your data is under lockdown, all your icons are missing, years of photos are gone, and your computer left as a digital wasteland with nothing on it? Well, nothing but a digital ransom note saying that if you want your data back, you’re going to have to pay. In this episode, our host Geoff Siskind lets a hacker take his personal laptop hostage. Listen as Geoff uncovers the truth about Ransomware when he's Locked Out. How much can people find out about you from a simple Google search? It’s probably way more than you think, even if you’re being cautious. Our host Geoff Siskind learned that the hard way. We gave our friendly hackers 5 days to hack into his life and uncover as much information as possible...and potentially crack into his computer and Wi-Fi network. Listen to find out what our hackers were able to accomplish. Think all public Wi-Fi networks are safe? Think again. In our first episode, we hack the Wi-Fi at a local café by creating an “Evil Twin” to prove just how easy it is to give away all of your information without ever knowing it. Find out what our cyber security expert, Bruce Snell, was able to uncover as unsuspecting guests connect to an unsecure Wi-Fi network at a coffee shop in Texas.